Consumers, rejoice! The Department of Justice (DOJ) released on Dec. 12, 2014 an Advisory Opinion clearly siding with Filipino internet users against the telco practice of imposing data caps and speed throttling through so-called “fair usage” policies (FUP). The DOJ’s Advisory Opinion practically laid out the legal basis for suing the telcos over the arbitrary “limits” they impose on subscribers who subscribe to their “unlimited” internet offers, and called on the public to file complaints with the telcos themselves and with agencies such as the Department of Trade and Industry (DTI) and the National Telecommunications Commission (NTC). In other words, there is no legal basis for data caps and throttling, and there is a legal basis to complain and demand the delivery of promised internet speeds. But the data caps seem to be only one of the problems for Filipino internet users. 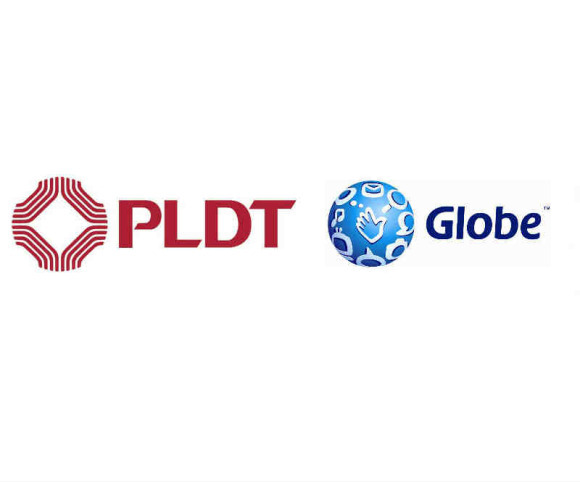 PLDT, Globe continue to reap billions from their slow, substandard and expensive data services. The illegal practice has apparently helped the telcos reap a windfall from mobile data revenues. Early this month, Globe reported revenues of more than P10-billion from its mobile data business, just for first nine months of 2014. 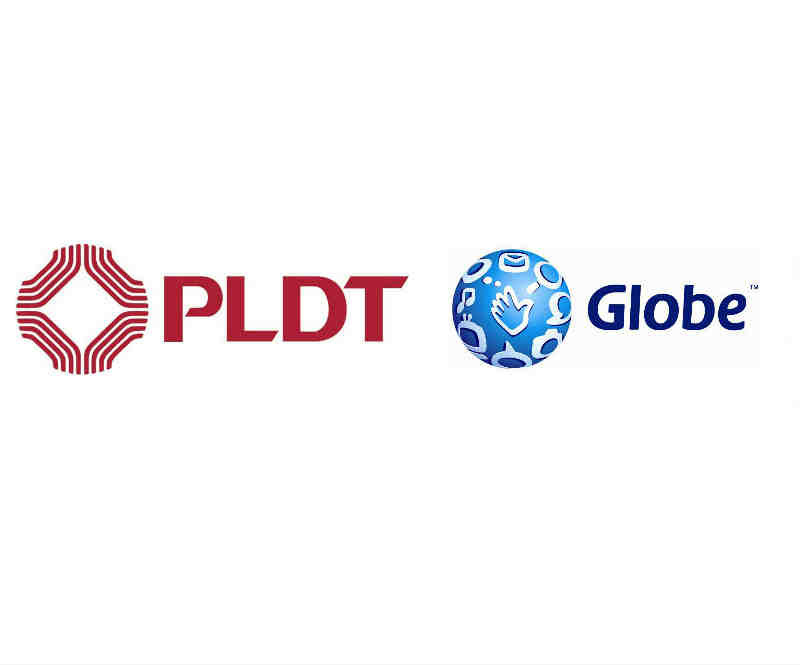 For July-Sept. 2014 alone, the PLDT group of Smart and Sun gobbled up P5.73-billion in mobile data revenues, up by 69 percent from the same period last year. Consumers however do not feel or receive benefits as generous as the mobile data revenues of Globe and PLDT. For example, right in Metro Manila, both telcos have so far failed to cover the entire stretch of EDSA and the three MRT/LRT lines with dependable, continuous 3G or 4G coverage. Globe has claimed last July 1, 2014 that its entire network is a full 3G network and promised to make it a full 4G network within three months. Besides expanding its 4G LTE coverage, Smart would spend on widening its 3G coverage from 71 percent to 100 percent of the population, increasing the PLDT Group’s fiber footprint from 78,000 kilometers to 90,000 kilometers, and investing on a new international cable system by the end of the year. But independent and third-party report say otherwise. For years now, Filipinos have been made to endure the slowest, most undependable and expensive internet services in the region and in Asia. Last February, OpenSignal found that Globe and PLDT offered the “slowest” and “poorest coverage” for LTE in the world. No thanks to the telcos, the Philippines had the “slowest internet in Southeast Asia”, as of April 2014 – ranking 158th out of 190 countries. 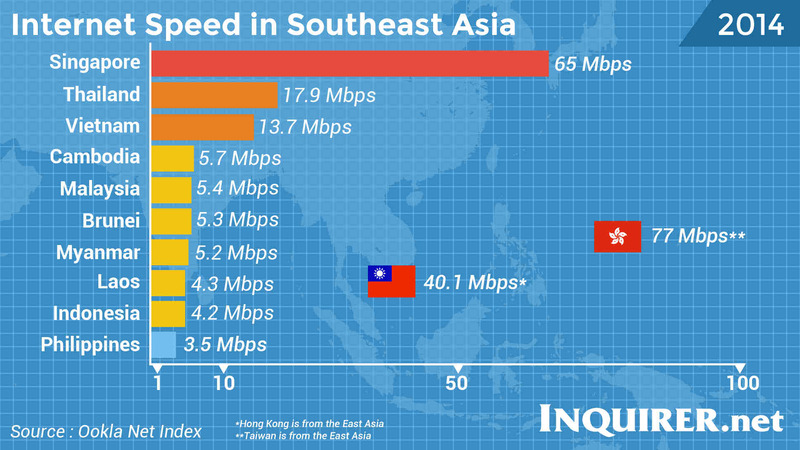 The Philippines still has one of the slowest average connection speeds in Asia Pacific, according to a new report by Akamai. 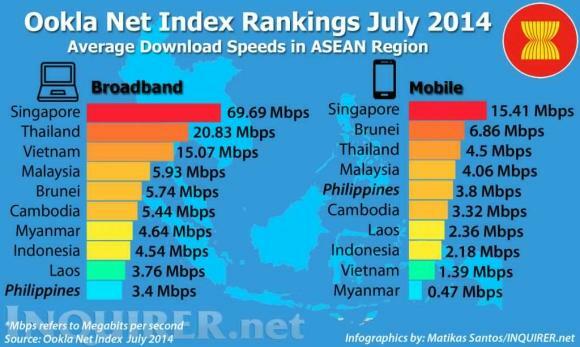 In its latest State of the Internet Q2-2014, Akamai said the Philippines ranked 103rd on the list in terms of average connection speeds. 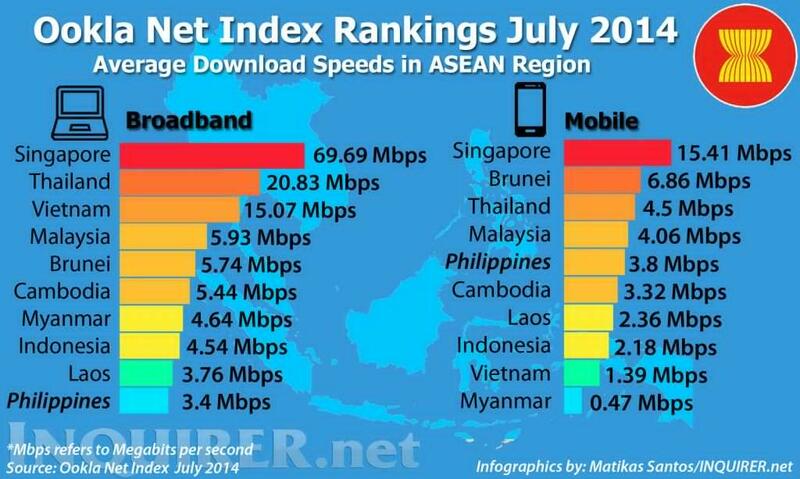 The Philippines only had an average Internet speed of of 2.5 Megabits per second (Mbps) in the second quarter, although this was a 58 percent improvement from year-ago figures. To top it all, telcos also charge Filipinos the most expensive internet charges in Asia. If your handset or device is only capable of 2G or 3G, you pay the same rates as those subscribed to 4G or LTE services. Subscription rates for mobile data have been nailed, almost permanently, at P50 per day or P999 per month. This, despite the huge revenues, profits (return of investment), and substandard service reaped by telcos. The DOJ on Friday warned telecommunications companies against practicing deceptive marketing practices or risk facing penalties even as it reiterated its earlier advisory on the imposition of data caps on “unlimited Internet” promos, which slows down service for online users. In a statement, the DOJ said the “fair use policy” (FUP) imposed by Internet service providers (ISPs) on subscribers “is inconsistent” with provisions of the Consumer Act, which penalizes deceptive packaging and misleading trade practices and advertisements. “The contention here is simple: ‘Unlimited’ means unlimited,” the DOJ said in its advisory. Justice Secretary Leila De Lima said telcos that practice this may be held liable for violations of Republic Act (RA) No. 7394, also known as the Consumer Act of the Philippines, particularly the provisions on fair packaging, and misleading trade practice and advertisements. This is the second time the DOJ made a warning against “misleading” claims of telcos, with the agency releasing a first Advisory Opinion just last Sept.
Interestingly, the furor over data caps and awful services mark the 20th anniversary this 2014 of the first internet connection of the Philippines.